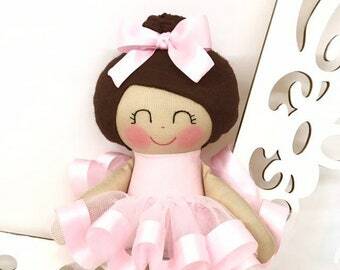 Announcement Sew Many Pretties specializes in Cloth Dolls that are memorable gifts. 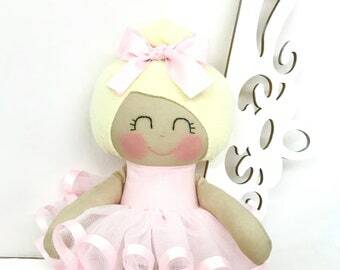 My customers tell me all the time that these dolls are the gift at a party that everyone "oooos" and "aahhs" over when a child opens the doll and sees how beautiful it is for the first time. 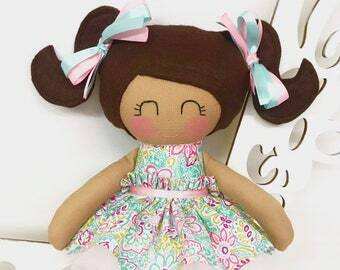 A variety of fabrics and materials are used to create the dolls. 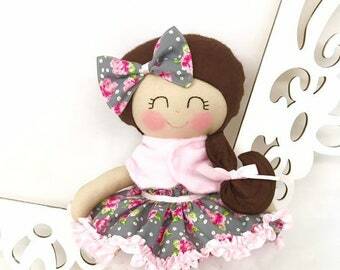 Each doll is unique and one of a kind. 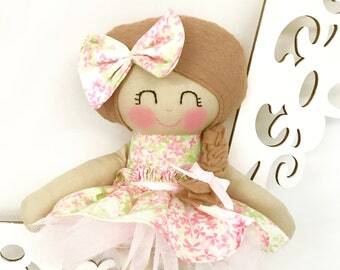 I am constantly making new dolls so "heart" my shop and stay up to date with my new creations. 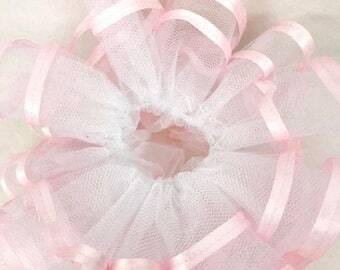 The quantity of most dolls is (1) so don't hesitate. 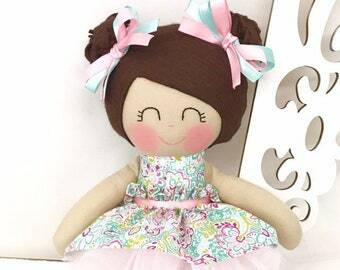 Signup for my VIP email list and see the latest dolls in the shop and for special discounts! All the dolls in the shop are sold as pictured. Hair color and style requests can be honored on a limited basis. Follow the shop on Instagram @sewmanypretties and Facebook to stay up to date on the latest products released. Please read my shop policies before making a purchase. I cannot be responsible for custom fees for international orders and cannot tell you what your custom fees will be ahead of time. MESSAGE/CONVO ME BEFORE your purchase for picking up locally. Welcome to the shop and thank you for looking! 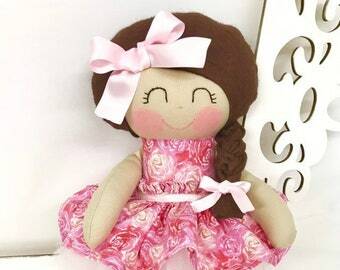 Sew Many Pretties specializes in Cloth Dolls that are memorable gifts. 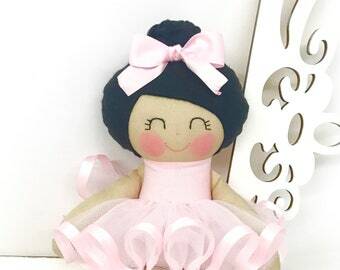 My customers tell me all the time that these dolls are the gift at a party that everyone "oooos" and "aahhs" over when a child opens the doll and sees how beautiful it is for the first time. 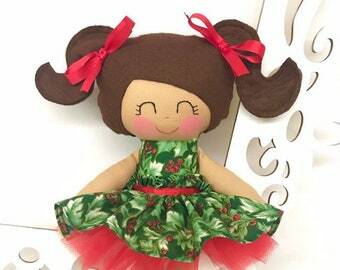 Use code 25OFF for 25% off all dolls in the shop!! Santa has hired me as his "Chief Doll Elf" this year! 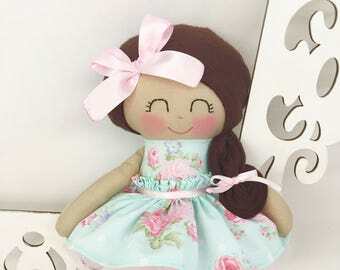 Let me know in the comments of your order if you would like the tag as pictured on your doll. New doll hair style! - a braided bun! Some of my favorite memories from my childhood involve dolls and handmade clothes my Grandmother sewed for me. She was a skilled seamstress and I had the honor of wearing many dresses and outfits that she made. 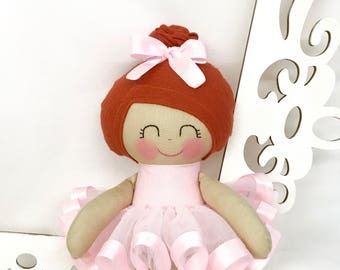 My dolls also benefited from her talents and had a large wardrobe of dresses that Grandmom sewed for them. I still have many of those special, handmade items and I treasure them. Handmade items have always been very special to me and I love to sew for my family and friends. I have been a quilter for 15 years. When my three children came along, it seemed only natural to sew for them. 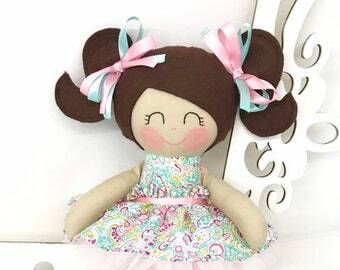 My Sew Many Pretties doll business is an extension of the creations that I have sewed for my own children. Fabrics and my sewing machine are some of my favorite things! My 3 kids are some of my favorite people! I love to combine the two and sew bright, cheerful creations. I call them "imagination starters". Everything listed in the shop is ready to ship....meaning it is already made and ready to go or pick up locally. All items are one of a kind. There is typically only one of each item in the shop.